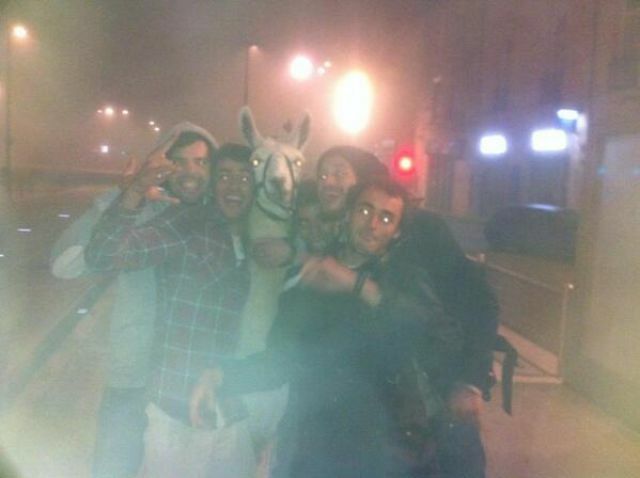 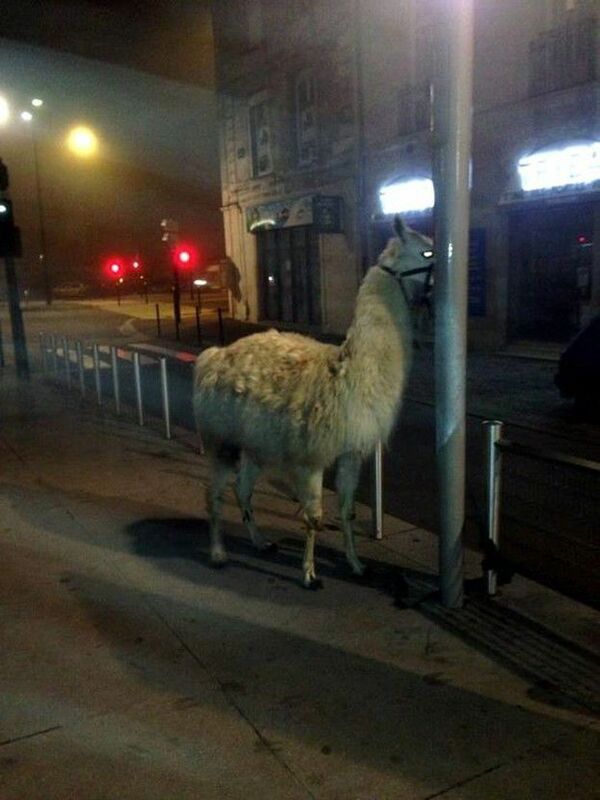 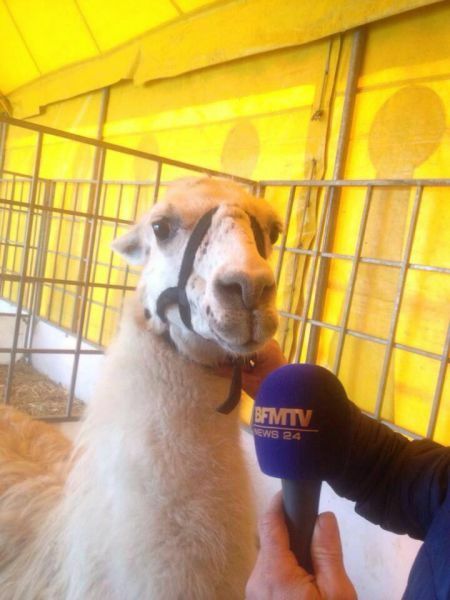 According to local reports, a group of five drunk French teenagers kidnapped an 8 year old circus llama named Serge and took it out with them into the city. 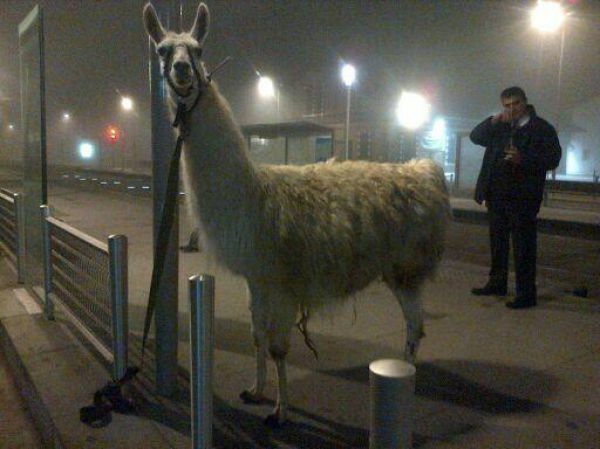 They then apparently walked Serge to the Bassins à Flot tram station where they boarded a subway train. 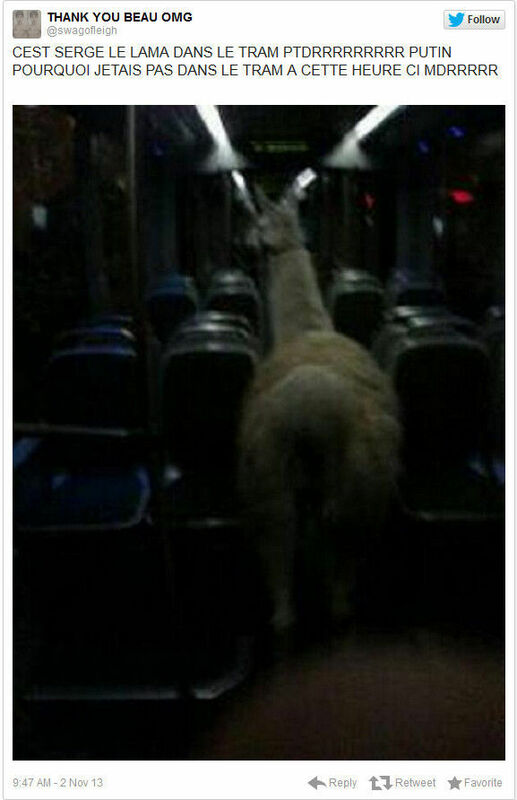 A station agent eventually stopped the train to investigate reports of a llama on board and amidst the activity the teens boarded a second train and were arrested at the Place de la Comédie station. 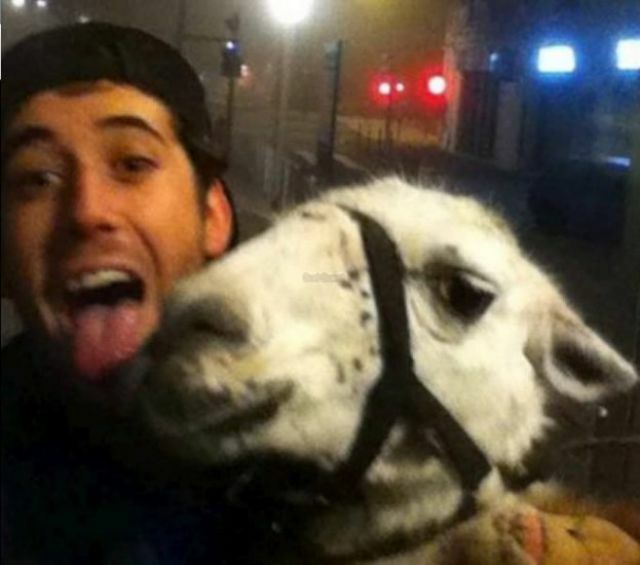 They have become an internet hit on Facebook and Twitter for their wacky antics.